Everyone has a story-There is a story everywhere. Four Roses Bourbon Distillery is located on Bonds Mill Road, a narrow two lane road in Lawrenceburg, KY. Click here for Google Maps. 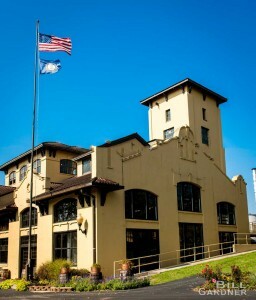 Four Roses Distillery was built in 1910 on the banks of the Salt River in Lawrenceburg, KY. 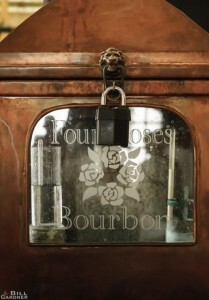 Door art on the Four Roses still house. 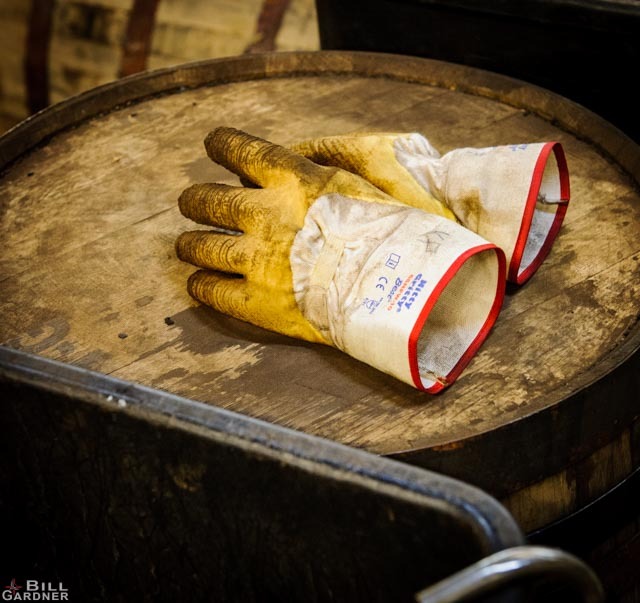 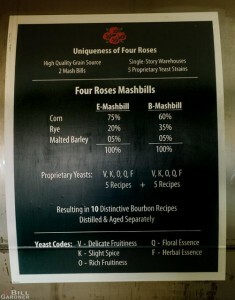 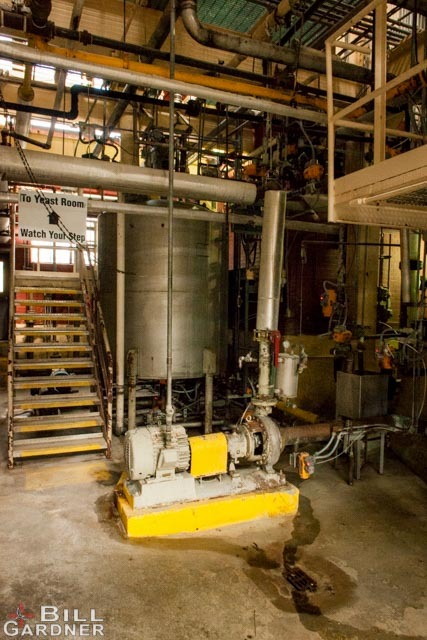 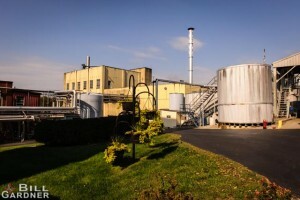 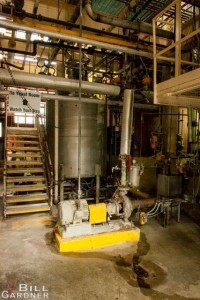 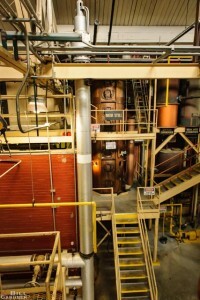 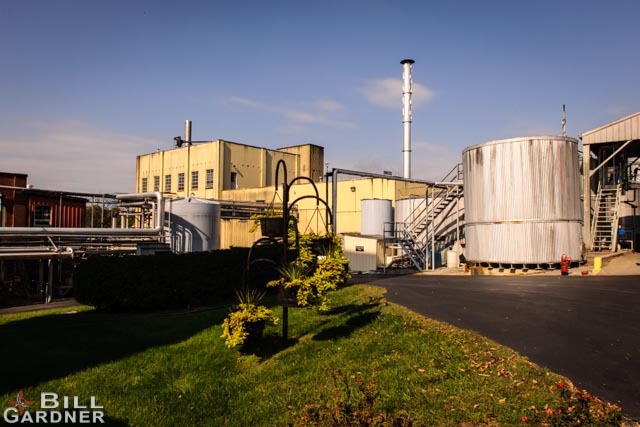 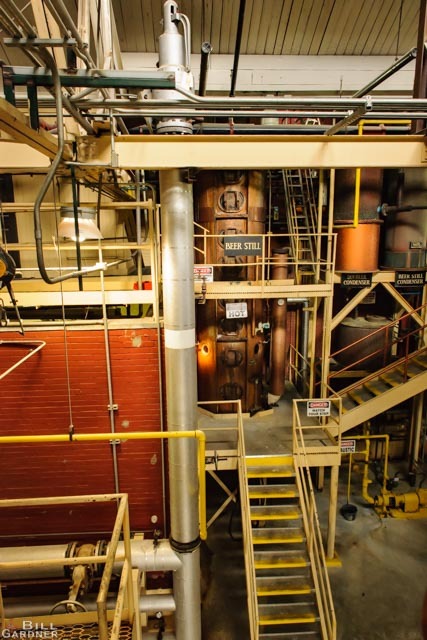 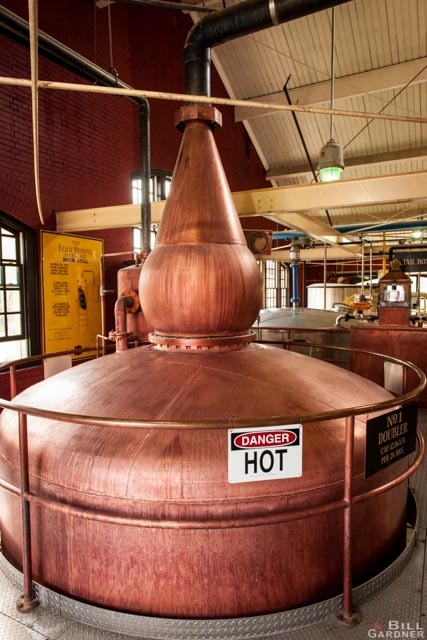 Four Roses mashbill – the ingredients that make Four Roses.bourbon. 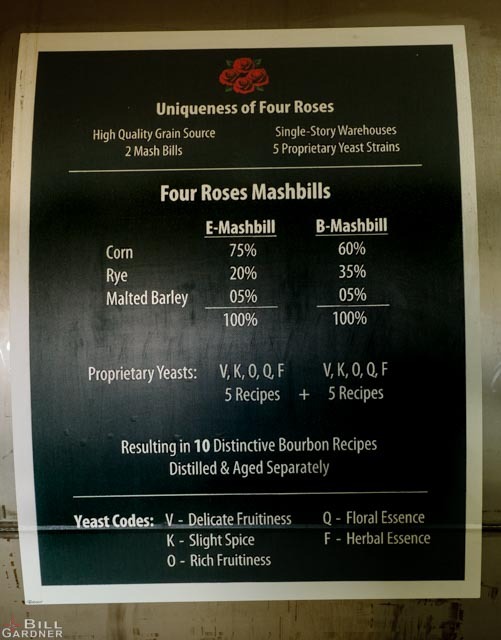 With five different yeast strains and two mash bills or recipes for the three primary grains grains Four Roses produces ten distinctive bourbon variations. 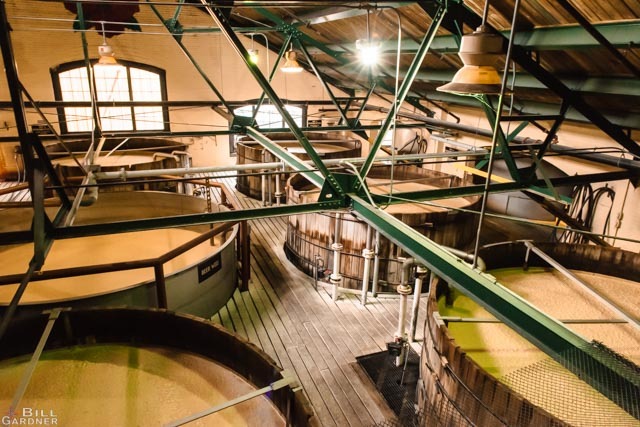 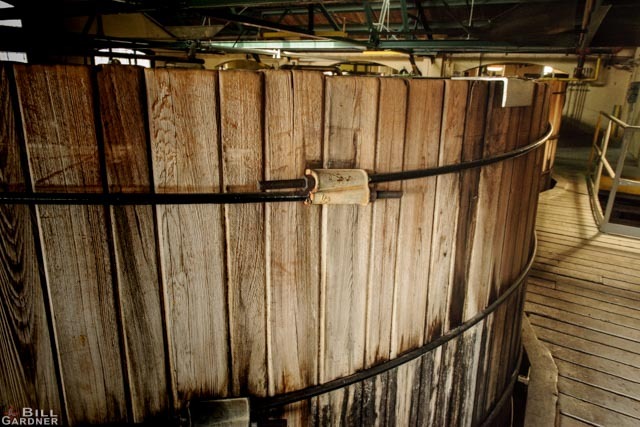 One of several cypress vats containing fermenting mash. 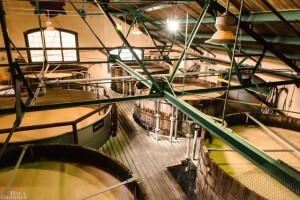 Mash Room at the distillery. Pot still at the Four Roses Distillery. 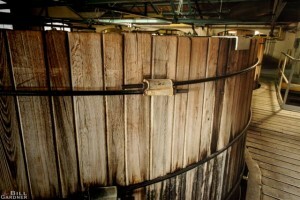 The proof box or tail box is usually at the output of the still. 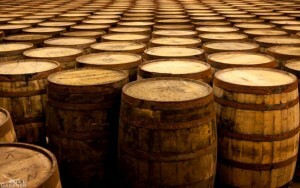 The master distiller and quality control sample the white dog or raw whiskey. 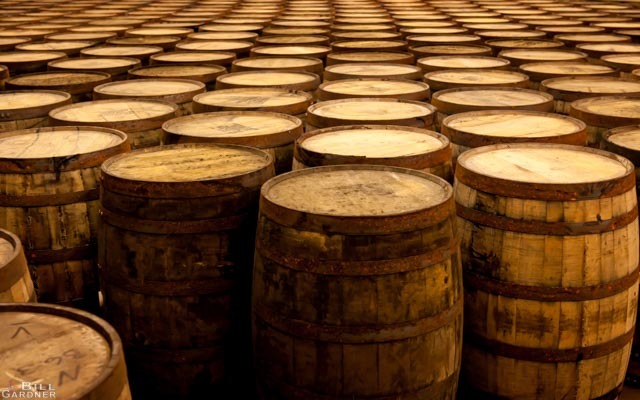 A full barrel of bourbon is estimated to weigh up to 450 pounds. 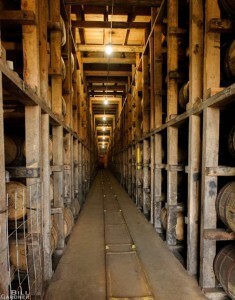 The longer the barrel ages the more bourbon is lost and shared with the angels, thus the barrel will weigh less and less. 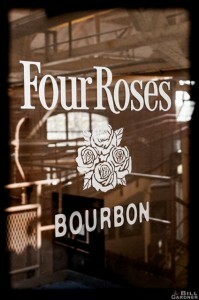 Rour Roses rick houses are unusual to most of the major distilleries in that they are only one story in height.